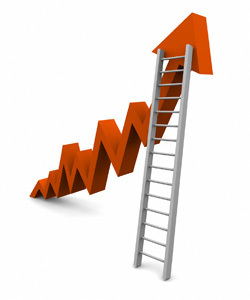 Home>Blog>Personal Finance>What is a CD Ladder? As an investment product, CD’s or certificates of deposit remain a traditionally safe investment option. While safe, CD’s also come with their own set of limitations that can hamper a person’s ability to explore other options in the short-term. As an investment strategy, a CD ladder offers investors a way to take advantage of the benefits CD’s offer as both short-term and long-term investment options. Many people choose to open a CD account as a way to reap better returns than money market accounts allow. Unlike stock market investing, CD’s are federally insured, which is another benefit. The range of earnings rates available with CDs provides another convenience, though only the longer term CDs draw the best return rates. To open a CD, means the money remains inaccessible for the length of the term or else a person pays steep penalties for early withdrawal. For someone not wanting to tie up their money on a long term basis, a CD ladder provides a way to access available monies without penalties while still benefiting from the best rates CD’s have to offer. As an investment strategy, to build a CD ladder means opening two or more short-term CDs while opening one long-term account to lock in the best rates available. In doing so, investors can avoid being locked into the lower short-term CD rates. So a person would open a CD for 60 months (long-term) with the minimum deposit amount. This person would also open two (or more) other accounts. In effect, the short-term CDs carry increasingly higher return rates with the 60 month account yielding the highest returns. The laddering effect appears in the different rates each CD term earns with shorter termed CD’s earning the lowest rates. For example, a 12 month CD earns at a rate of .9 percent, a 24 month CD earns at a rate of 1.8 percent, a 36 month term earns at a rate of 2.3 percent with a 60 month CD earning at 3.2 percent. As each CD matures, investors can pocket the earnings and renew at the 60 month term rate. Since there are no limits on the number of CDs a person can open at a time, different laddering approaches can be used. As with single CD accounts, the money remains protected while the laddering effect keeps investors from being locked into a low interest rate environment. This type of flexibility enables investors the freedom to build a CD ladder that suits their own individual financial needs.